Lt. Gen. Robert McMurry, Air Force Life Cycle Management Center commander was one of the senior Air Force speakers at the ninth annual Acquisition Insight Days event. The theme for the conference was ‘Keeping a Decisive Edge,’ and more than 60 presentations were available to attendees. 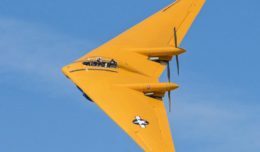 Hundreds of acquisition and industry professionals gathered at the Air Force Institute of Technology at Wright-Patterson Air Force Base, Ohio, June 13-14, for two action-packed days of demonstrations and presentations from some of the greatest and brightest minds in acquisition, technology, intelligence and sustainment. 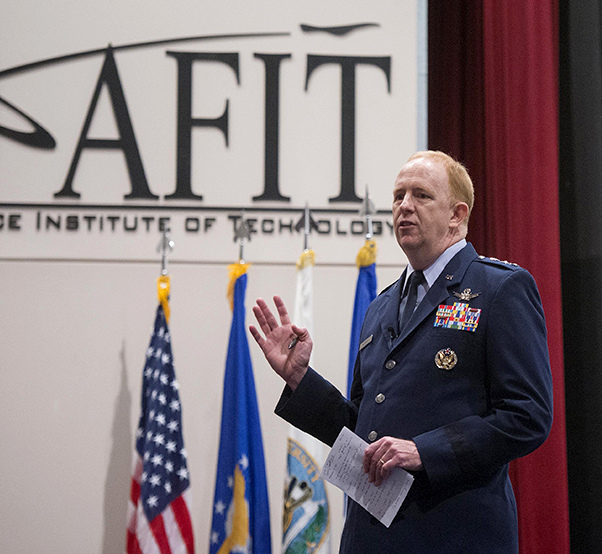 Hosted by the Air Force Life Cycle Management Center and Defense Acquisition University, the ninth annual event was broadcast live and drew senior Air Force leaders and experts from across the country. The theme for the conference was ‘Keeping a Decisive Edge,’ which was highlighted in the more than 60 presentations that attendees had an opportunity to participate in. Throughout the event, audience members were regaled by the personal experiences, compelling testimony and entertaining but informative commentary shared by the presenters. Lt. Gen. Robert McMurry, AFLCMC commander, provided opening remarks which included his vision for AFLCMC to be the best acquisition center in the Department of Defense and be able to prove it. He also urged audience members to think about how they can improve professionally and what the center can do differently as it provides systems to warfighters. The keynote speaker on the first day was Gen. Ellen M. Pawlikowski, Air Force Materiel Command commander. In her remarks, Pawlikowski highlighted the importance of agile software development to the future of the Air Force and challenged everyone to look for ways to make acquisition processes focus on networks as opposed to individual platforms. Throughout the conference, attendees were able to view technology demonstrations put on by experts from the Air Force Research Laboratory, showcasing pioneering efforts to advance Air Force priorities and help military members in the field. Sue Payton, president of SCI-Aerospace and former Assistant Secretary of the Air Force for Acquisition served as the keynote speaker on the second day of the conference. In keeping with the event theme, Payton said that in order to be successful, the Air Force must have significant, pre-emptive, assured, and absolute superiority in technology, tactics, techniques and procedures. Some of her recommendations included incentivizing people with bright ideas, investing in innovative and disruptive technologies and building and maintaining a strong and competitive industrial base. Overall, the goal for the conference was to provide attendees with a plethora of useful resources and opportunity to engage with experts. Lt. Gen. Arnold Bunch, Military Deputy, Office of the Assistant Secretary of the Air Force for Acquisition thanked audience members for their hard work and dedication.